CHICAGO (WLS) -- A third person killed Monday night in a violent crash on Chicago's Far South Side near the Illinois-Indiana state line was identified Thursday morning. Jeremiah Robert Gentry, 22, of Indianapolis, was identified to the Cook County Medical Examiner's Office as one of two brothers riding a motorcycle that ran a red light at South Indianapolis Avenue and South Avenue B in the city's East Side neighborhood around 10:20 p.m. Monday. The eastbound motorcycle slammed into an SUV that was turning left onto Avenue B. The impact of was so great that it left a dent in the SUV, which rolled over onto its side. Ronesha Delaney witnessed the crash. "The truck was coming southbound. It was trying to turn. As it was turning, the motorcycle was going like 100 mph. The motorcycle ran into the side of the truck and the people flipped out. It was crazy," Delaney said. Gentry and his brother, 32-year-old Joshua Lee Gentry, who also lived in Indianapolis, were pronounced dead at the scene, the medical examiner's office said. Jamie Trickle, a 35-year-old woman who was riding in the SUV, was also pronounced dead at the scene. The medical examiner's office said she lived in the 1700-block of West North Shore Avenue in Chicago. The 28-year-old woman driving the SUV was rushed to Advocate Christ Medical Center in critical condition. Authorities have not yet given an update on how she is doing. Investigators said speed may have played a role in the crash. 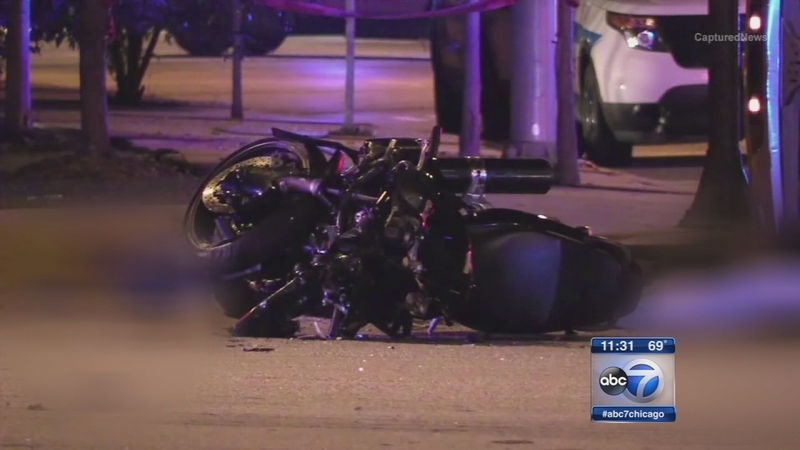 The Chicago Police Department's Major Accident Investigations Unit is handling the case.